snowy's tatting: Kitty Fisher found it! My bag was at the Mairie! I went to Prayssac with some posters to put up, and the ladies at the Boulangerie said to ask at the Syndicat d'Initiative and the Mairie...and there it was. I nearly kissed the Policier who gave it to me. So happy, especially as it had a special Shuttle Shop shuttle with my name on. However I seem to have lost my tatting inspiration, and everything I try goes wrong, ah well, perhaps I need to look for that as well! I'm so glad you found it - it's horrible to lose things, isn't it! 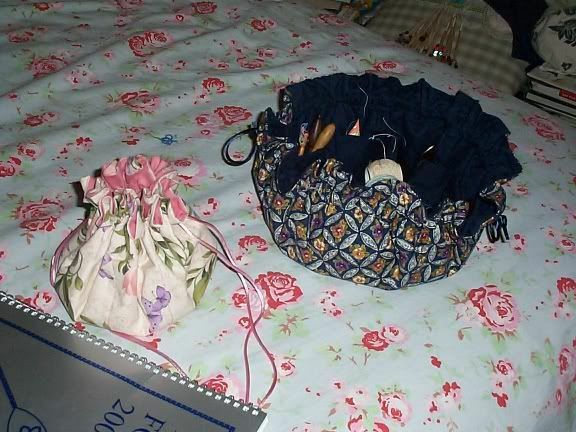 Maybe your tatting inspiration will follow the bag in due course. Oh that's good news! I hope it brings inspiration with it. So glad you got your bag back! It's also reassuring to know there are people in the world who don't believe in "finders keepers." As for inspiration -- I always use Iris Niebach's "Tatted Doilies." So glad to hear this! I have to admit that I'm confused where exactly it was lost then found, as i don't as know what the Mairie is! Was it found at the bank and turned in somewhere else? Is the bank in a shopping center? Or in a town? All that really matters is that you have it back! That was much too important a possession to lose!